Manuka honey is created by bees that gather nectar from the flowers of the Manuka bush (as pictured below). The Manuka bush is only native to New Zealand explains why the Manuka honey labels in the supermarket are all branded kiwi style. But why would natural skin care products like New Zealand beauty range, Trilogy contain Manuka honey? 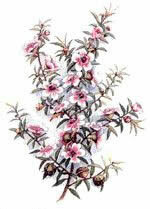 The Manuka bush (a member of the tea tree family) has many medicinal benefits. 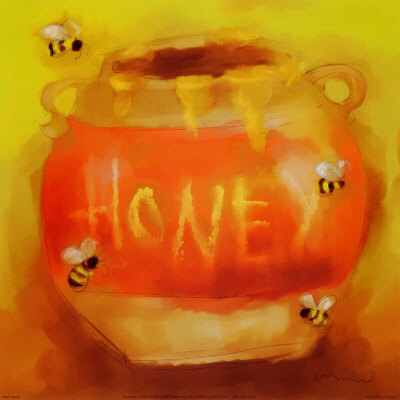 The honey the bees produce from its nectar has anti-bacterial properties. The oil of the bush can be applied topically as an antibiotic and antifungal to help wounds close and heal more quickly. It's been proven to improve stomach ulcers, boils, minor burns and infections. Manuka can also combat more difficult strains of bacteria such as the superbug, MRSA (Methicillin Resistant Staphylococcus Aureus). But not all Manuka Honey has ‘active' properties, though its not understood by the scientific community why. In New Zealand it is tested by the Honey Research Unit and given a UMF (Unique Manuka Factor) rating to prove its level of medicinal use. A rating of 10 or above is considered ‘active'. From a beauty perspective active manuka is rich in protein, vitamins and minerals. Sensitive skin particularly benefits from the anti-inflammatory properties manuka. As a natural antioxidant mature skin adores this as an ingredient in masks and other skin care products. It is able to absorb free radicals caused by skin damage and helps the skin to retain moisture. This improves texture significantly. Trilogy's Ultra Hydrating Cream is one organic skin care product that makes the most of the healing properties of manuka.